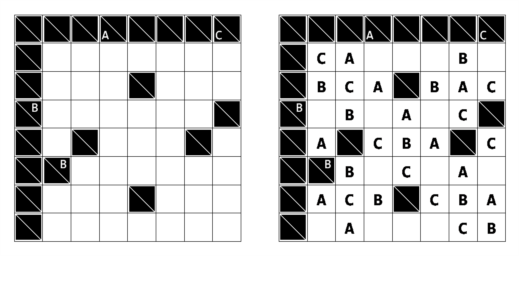 1.Write letters A,B,C into some of the cells in the grid. 2.Letters are not repeated in any sequence of horizontally or vertically connected cells. 3.Each sequence of 3 or more horizontally or vertically connected cells contains each of the letters exactly once. 4.Letters above and to the left of some sequences indicate the first letter seen from the corresponding direction. Background: In 2009, as a group of Turkish participants we participated to ZeKa competition in Croatia. I met this type there for the first time. 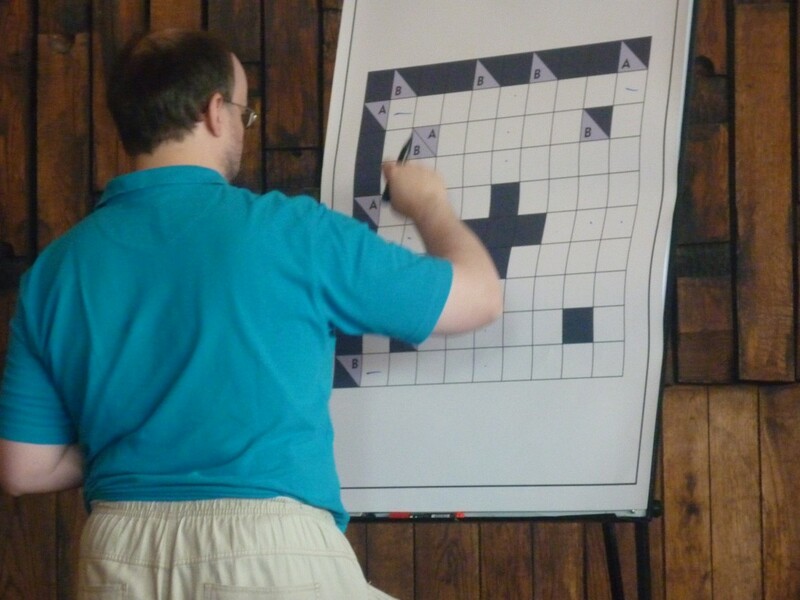 Actually none of us couldn’t solve this puzzle in that competition, because we missed a part of the rule. So, this puzzle type appeared in Part 4 and Finals of 21st WPC. You can see a scene from Ulrich vs. Thomas in the 21st WPC Final. I think this type is a Croatian puzzle type. Bu yazı Instructions içinde yayınlandı ve puzzle, Ulrich Voigt, WPC, ZeKa olarak etiketlendi. Kalıcı bağlantıyı yer imlerinize ekleyin.